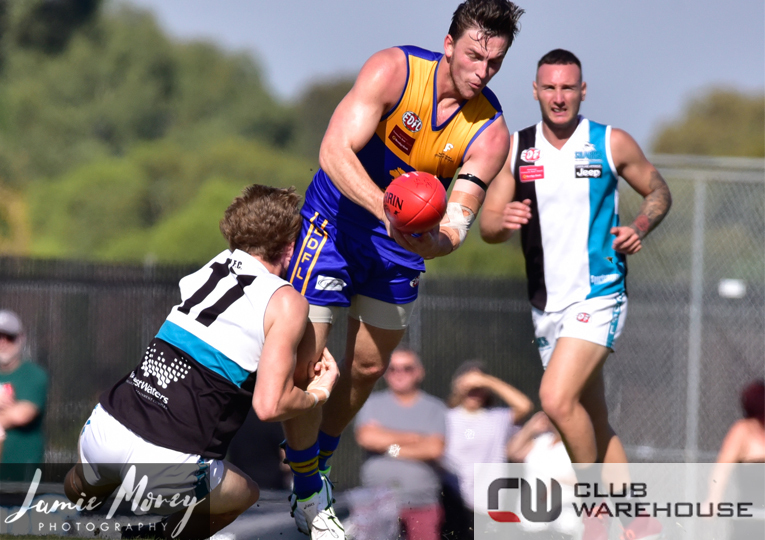 ARE you a Coach who wants to take your Coaching to the next level? 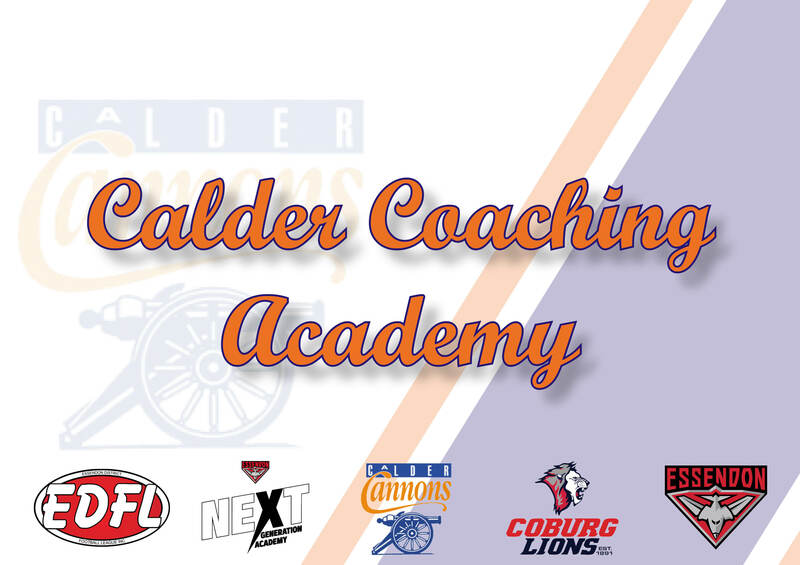 Then the newly created Calder Coaching Academy is for you! This brand new academy will provide an accelerated learning environment for Coaches within the Region who have an aspiration to take their coaching to the next level, whether that be in the Community or Talented pathway space. 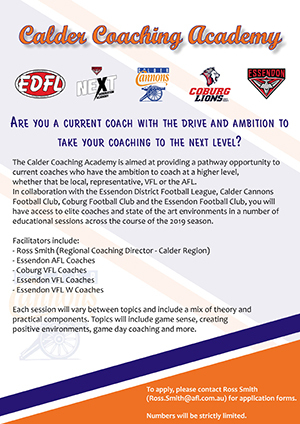 With Regional Coaching Director, Ross Smith, as the figurehead, the Academy will tap into the expertise of lead coaches in the Region from the Calder Cannons, Essendon AFL/VFL & Coburg FC. Sessions (approx. 6 in total over the course of the season) will be comprised of both practical & theoretical components and include on the job learning, observation and evaluation. 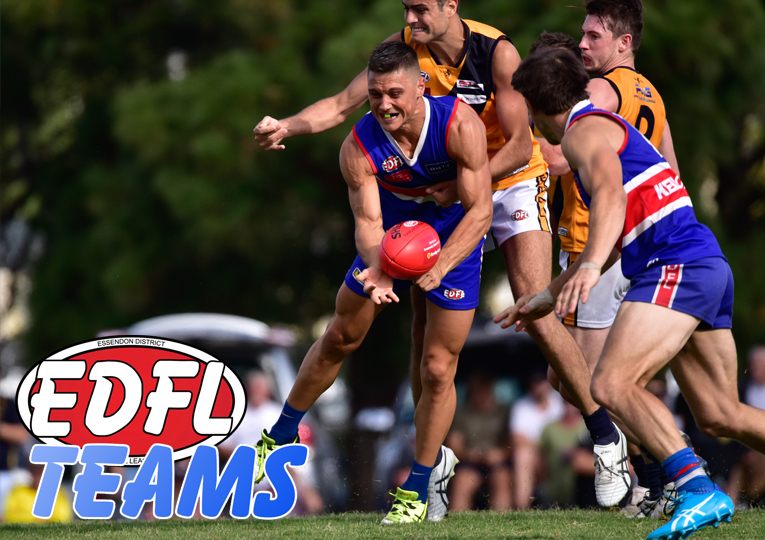 All coaches, regardless of the level they are coaching/experience, are welcome to apply. 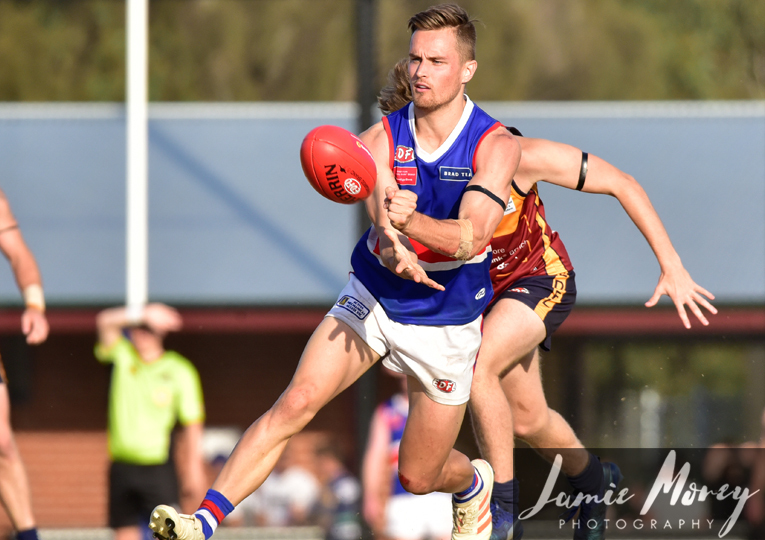 Places are strictly limited and all applications will be assessed by the steering committee consisting of staff from AFL Victoria, Calder Cannons, Essendon FC and the EDFL.